Buses are under threat from a growing congestion crisis on Britain’s roads as journey times rise and passengers are forced to seek alternative modes of transport, a new analysis of local networks reveals. Services in Glasgow, Oxford, Gloucestershire and the West Midlands are all suffering due to lower traffic speeds caused by rising car numbers, with some experiencing a knock-on impact in usage. The new findings are included in an updated report on traffic congestion and its impact on bus services across the UK commissioned by Greener Journeys, the sustainable transport group, which will be launched in Westminster today. The first part of the study, The Impact of Congestion on Bus Passengers, by Professor David Begg, was launched in June. It found that online shopping deliveries and the rise of Uber have contributed to a growing congestion crisis. Journey times on some routes in Gloucestershire have risen by 90% in the past 25 years. In contrast, Prof Begg found that effective bus priority measures in Dublin have helped the city limit the devastating impact of congestion, with average bus speeds falling by just 0.4% last year, compared with the national UK average of 1%. The report also warns that traffic on the roads is expected to grow by up to 55% by 2040 across the UK, and that if journey times continue to decline at their current rate, bus passenger numbers will drop by between 10% and 14% every 10 years, putting the future of the bus sector under threat. “This report underlines the shocking growth of congestion and its enormous impact on bus users in particular. Measures such as contactless payments and effective bus priority measures are essential in order to ease congestion and encourage greater bus patronage. 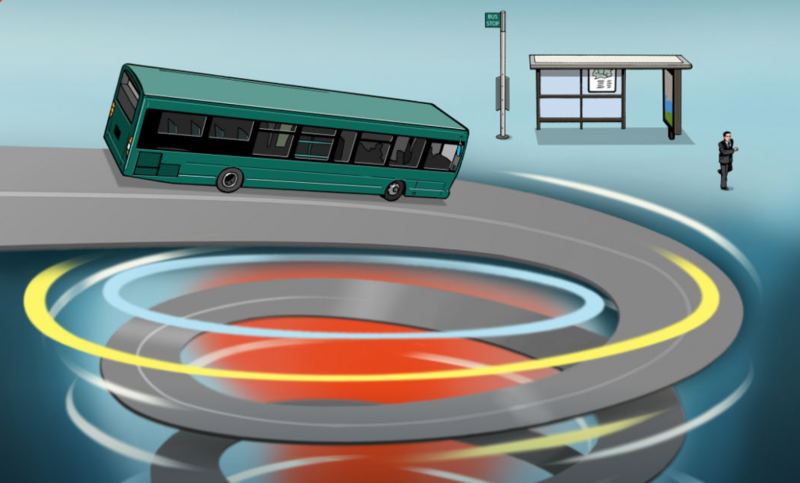 The report says that official targets for average bus speeds and the national introduction of contactless payments by 2019, three years earlier than planned, could help to ease congestion.